Doulton Water Filters is encouraging families to take part in the Doulton Hydration Challenge to help them adopt the healthy habit of drinking more water – and cut back on plastic by using a filter instead of buying bottled water. Under the 31-day hydration challenge, participants pledge to drink the NHS-recommended amount of 6-8 glasses of water per day. 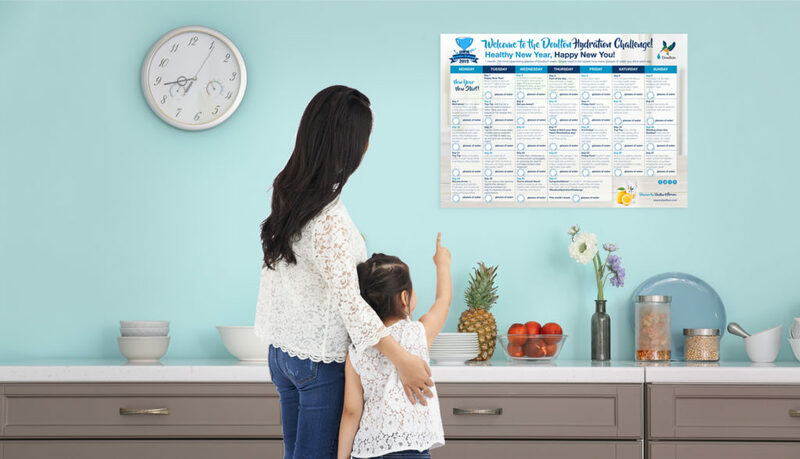 They are invited to download a wall chart packed with daily hints and tips that allows them to record the number of glasses of water consumed. On completing the challenge, they then upload a picture of their completed chart to Doulton’s Facebook page to be in with a chance of winning a Doulton water filtration system worth £249.95. Marketing manager Yvonne Allen said: “Drinking the recommended amount of water each day is an easy, healthy lifestyle to adopt. With plenty of motivation and daily reminders to help families complete the Doulton Hydration Challenge, this is a great way to make a positive change. “Drinking filtered tap water is vastly cheaper than bottled water, juice or alcohol, and there is no single-use plastic waste to consider. As well as boosting your health you could save cash and make an eco-friendly choice. The Staffordshire-based firm has been making ceramic water filters for more than 190 years and supplies customers across the world with water filtration solutions. Find out more about the Doulton Hydration Challenge here.